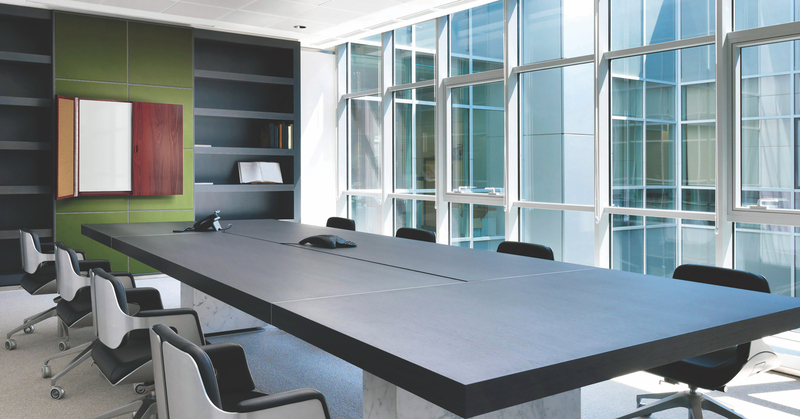 The Conference Cabinet offers the ability to host an interactive brainstorming session then conceal your notes before the next meeting, adjusting to your needs as you progress through your day. 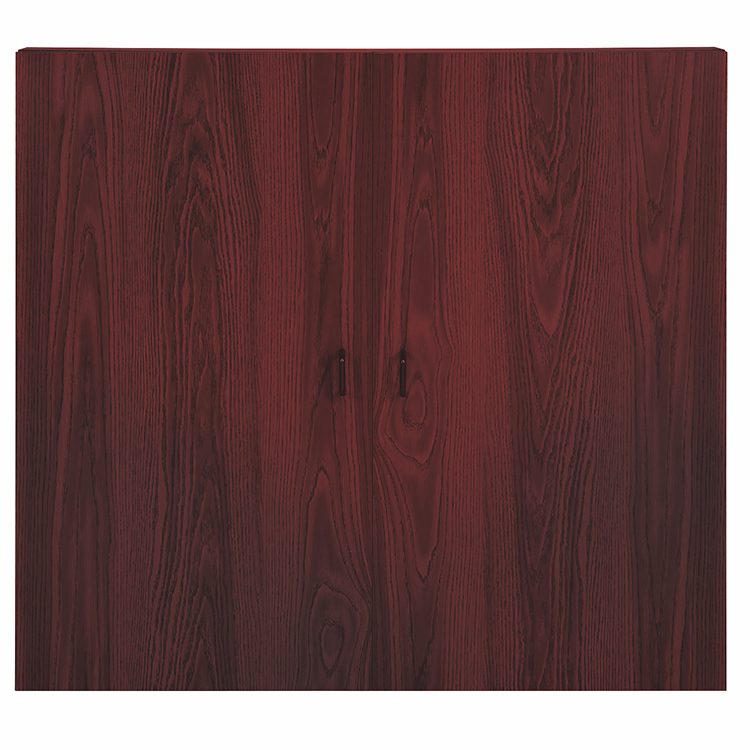 With a beautiful mahogany finish and a porcelain writing surface, the quality cabinet is just what you are looking for. WHY Double Door Conference Cabinets? 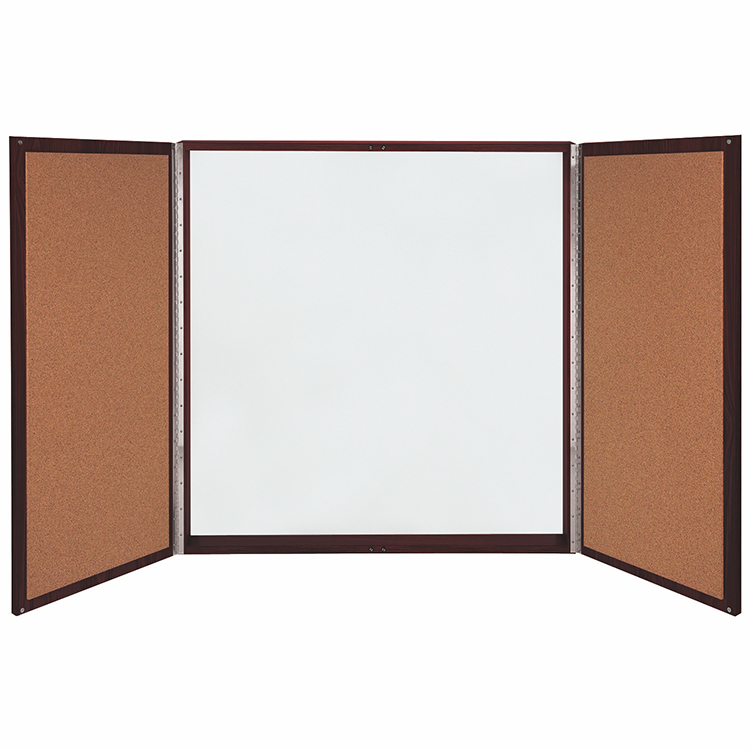 These sturdy units feature a top-quality Mahogany laminate surface with hinged doors and magnetic door latches. 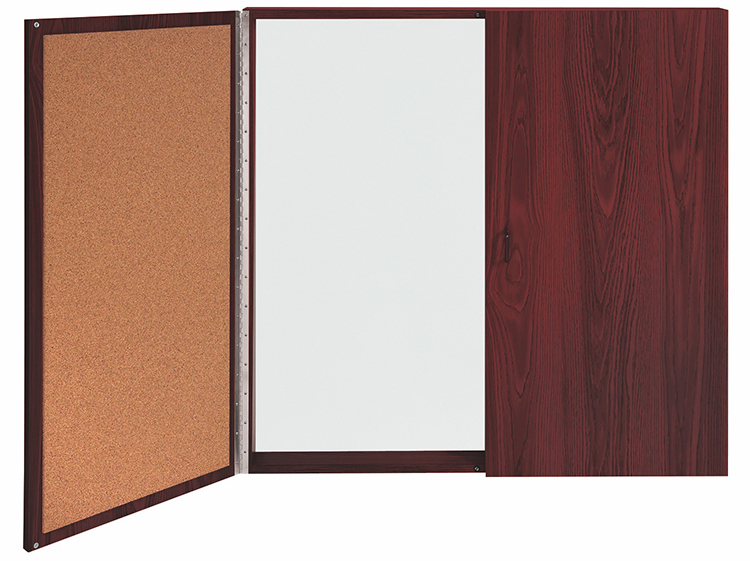 Self-healing natural cork bulletin boards line the inside of both doors. Interior depth of 3" allows for marker and eraser storage when closed and keeps accessories within arms reach. Cabinet measures 4' W x 4' H (closed) and extends 5" from the wall, giving plenty of brainstorming and posting space. 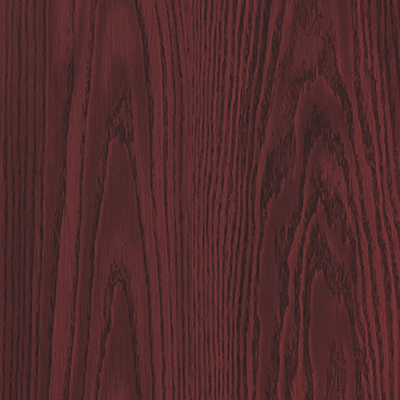 Each Conference Cabinet carries a 10-year manufacturer warranty and is made in the USA. Ghent's Whiteboard Conference Cabinet is a versatile tool that offers the freedom to collect and brainstorm information while providing privacy that is much needed in office environments. 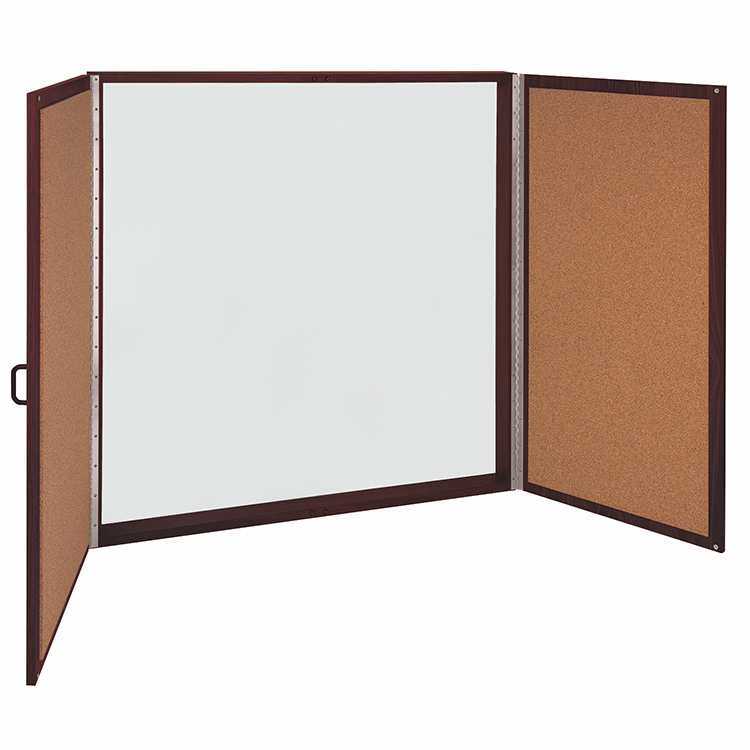 The double door cabinet opens to reveal a magnetic porcelain whiteboard that resists ghosting, staining or scratching when taking notes and collecting ideas. When you are finished with your meeting or brainstorming session, just swing the doors shut to hide information. With appointments happening back-to-back, the adaptable conference cabinet gives you the ability to conceal private notes and come back to them when it is most convenient for you. 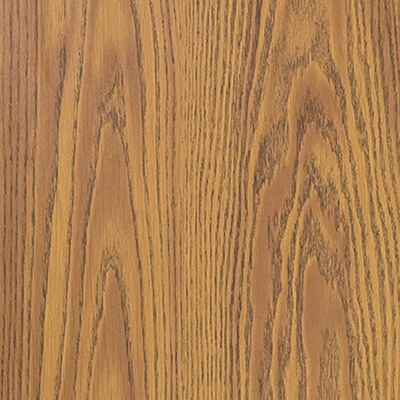 Cabinet doors are covered with a high-quality mahogany laminate surface on the outside and a self-healing cork bulletin surface on the inside that masks pin holes, made by tacks, pins or staples, within hours of removal. The cabinet doors are paired with sturdy piano hinges and open to reveal nearly 8' of posting and writing surfaces. When closed, you can store markers and accessories in the cabinet, keeping everything you need within arms reach. Each cabinet is shipped to you in Ghent's worry-free packaging, designed specifically for shipping conference cabinets. Ghent's Whiteboard Conference Cabinet carries a 10-year warranty and is made in the USA.